Wolftrap Farm is a perfect venue tucked away down a dirt road just between Charlottesville and Orange, Virginia. 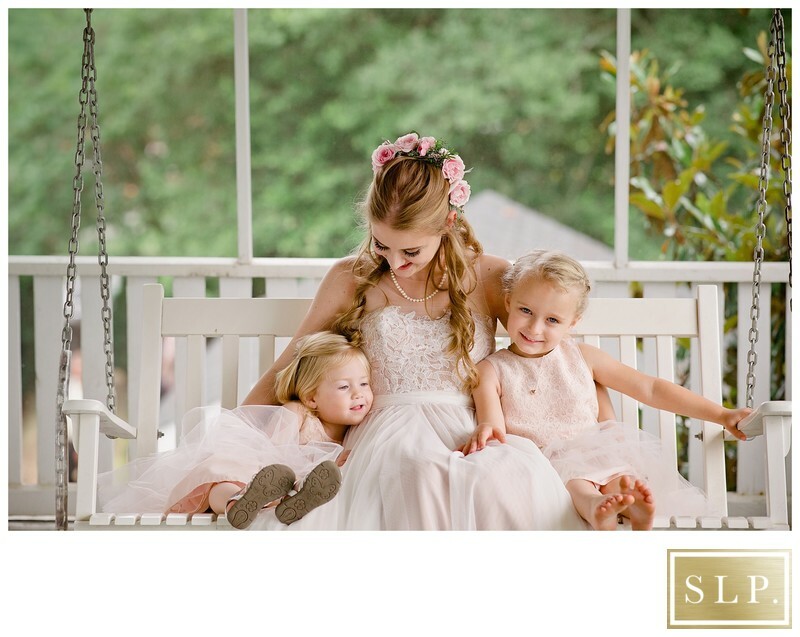 One of the special things about this venue is that the bridal suite offers a beautiful white porch with a swing just begging to have pictures taken on it. I love being able to capture some quiet moments like this throughout the day. I love how Grace is just casually sitting with her flower girls and enjoying swinging with them. The entire day was just absolutely beautiful. Click through to view more of the entire day of this Wolftrap Farm Wedding. Location: 17379 WOLFTRAP DRIVE, GORDONSVILLE, VA, 22942.